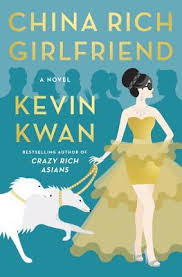 China Rich Girlfriend is the sequel to Kevin Kwan’s first book, Crazy Rich Asians. In his over the top chic-lit sequel, China Rich Girlfriend picks up where the first book left off. Set in Singapore, the reader enters the outrageous lifestyles of billionaire’s. In between gossip sessions, eating at members-only private restaurants and non-stop shopping trips, the drama between American born Rachel Chun and her fiancé, Nick Young, Singapore’s most eligible bachelor continues. While Nick’s family grumbles about their disapproval of Nick’s choice of his bride, Rachel’s is anguished over her unsuccessful attempts to locate her birth father. 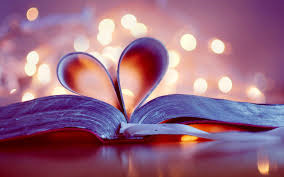 There’s enough catty behavior and mishaps to keep the reader happy while riding on the melodramatic ride. Several subplots include Rachel befriending Colette Bing, a wealthy fashion icon, and Kitty Pong, a former TV actress who is trying to buy her way into Singapore society. China Rich Girlfriend is a soap opera on steroids. The two-dimensional characters jump from one scenario to the next, adding to the confusion of following the details of the characters, relationships and Chinese family lineage. Mandarin sayings and slang are sprinkled throughout, with a helpful glossary of terms at the end of each chapter. This light read became tedious to read after non-stop mentions of fashion designers and their products, which didn’t move the story forward. I recommend this chick-lit book for a light beach/vacation read, when you don’t your full concentration isn’t necessary.